It’s been a while since we had a show and tell. 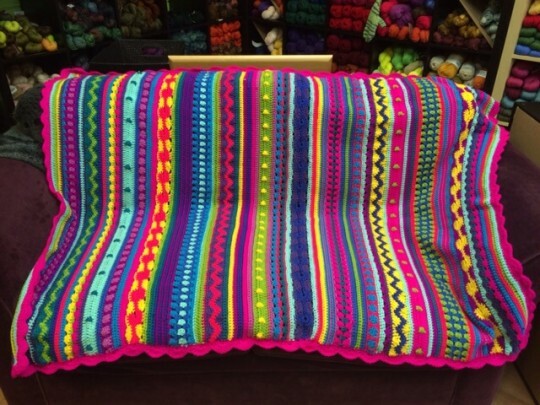 Today’s is a blanket crocheted by Beth with approx 15 balls of uptown worsted. It is improvised, using a blanket shown in scottysplace.blogspot.com as inspiration. We LOVE IT! !